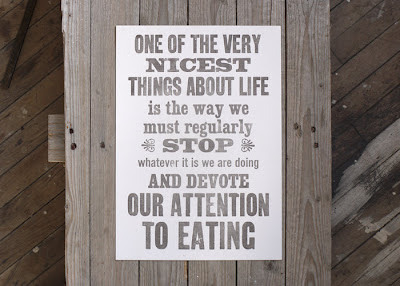 Quote by Pavarotti, ingenious and adorable letterpress poster found here, c/o Print for Love of Wood's Etsy shop! Good for Pavarotti and he did live by his quote. 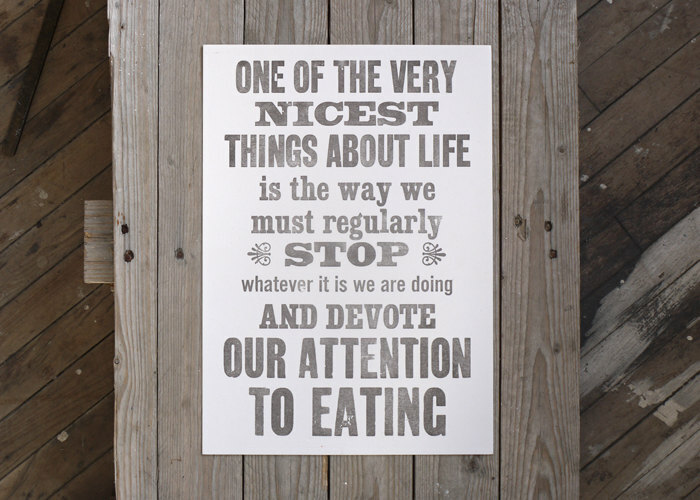 A nice poster for the kitchen!